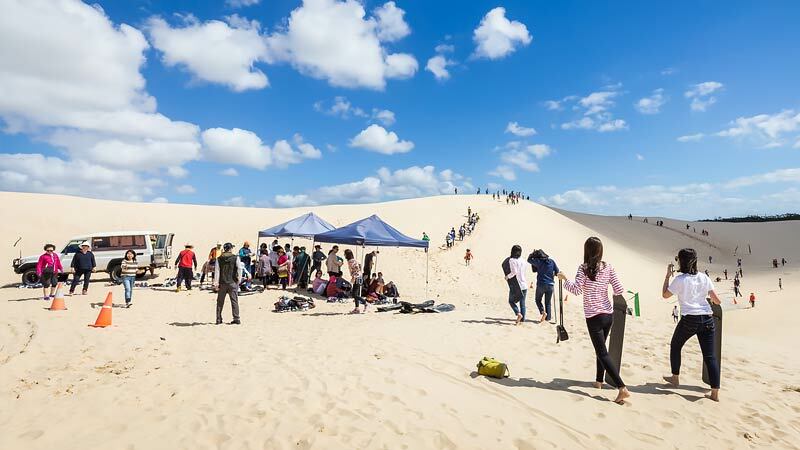 Try something new in an incredible location with our Sandboarding and 4WD Tour of Stockton Sands near Port Stephens. 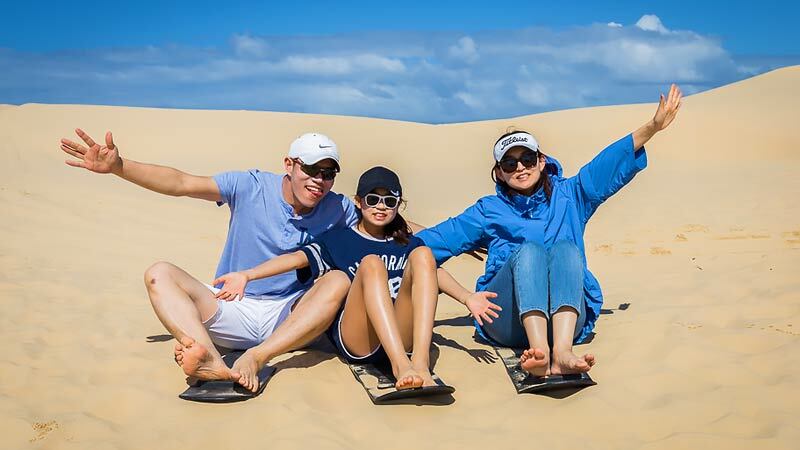 Try something new in an incredible location with our Sandboarding and 4WD Tour of Stockton Sands near Port Stephens. This unique experience is fun for all ages with no previous experience required. 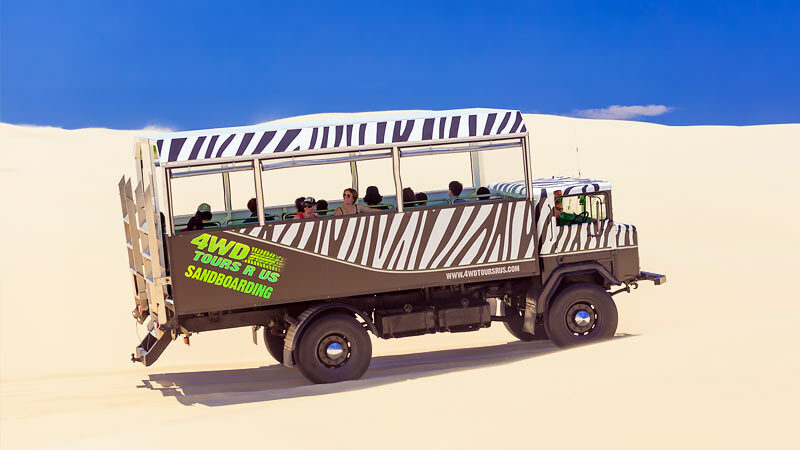 The 4x4 tour through the dunes is a real roller coaster ride on either an air conditioned bus or our open air Safari Bus and gets the Adrenalin flowing before you even start sandboarding. 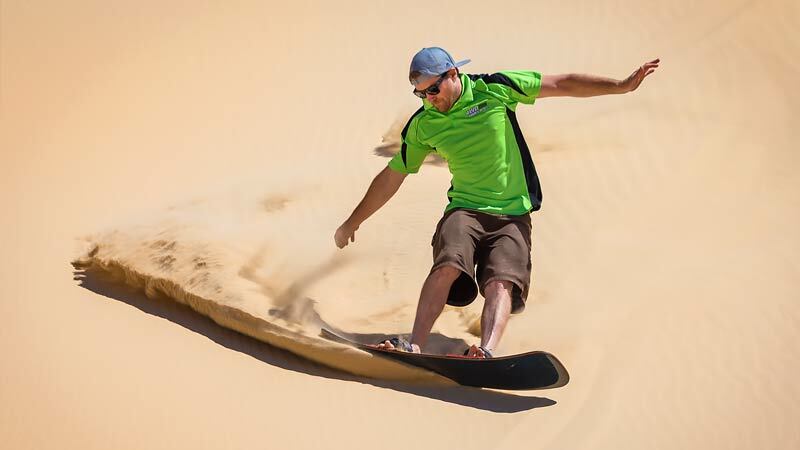 Sandboarding, as the name would suggest, is just like snow boarding but a lot warmer! 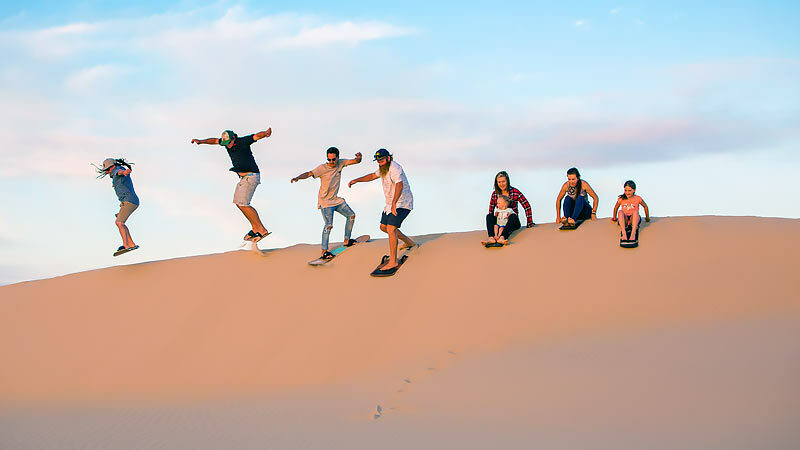 Another bonus of sandboarding is that you don't have to stand up - you can still have heaps of fun sitting on the sand board and cruising down epic 40 metre dunes. Stockton Sands provides the incredible location for this adventure, at 32 km in length and up to 1 km wide in places they are the largest moving sand dunes in the Southern Hemisphere and are guaranteed to take your breath away - don't forget your camera. Grab some mates and book now! Thanks for quick response and good service on the phone as well. Easygoing operators. A fun 2 hours! Excellent value for money, thoroughly enjoyed by adults and children. Staff were very friendly and helpful. We really enjoyed ourselves and it was a cheap and exciting time. We would definitely do it again. Thank you, my kids and I had an awesome time! Great day had by all thanks for making it easy to access adrenalin!! !